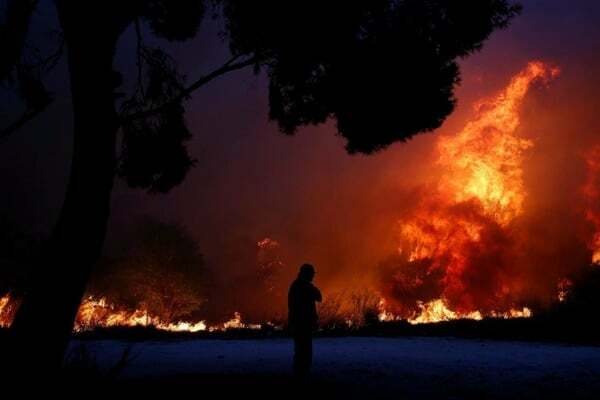 Iranian Foreign Ministry Spokesman Bahram Qassemi has expressed deep regret over the deadly wildfires near the Greek capital of Athens, which have killed and wounded dozens of people. In a Tuesday statement, Qassemi expressed sympathy with the nation and government of Greece and the bereaved families of the heart-breaking incident’s victims. The Greek government has declared three days of mourning over the wildfires. “The country is going through an unspeakable tragedy,” Greek Prime Minister Alexis Tsipras said in a televised address. “Today, Greece is mourning and we are declaring three days of national mourning in the memory of those who perished,” he said.